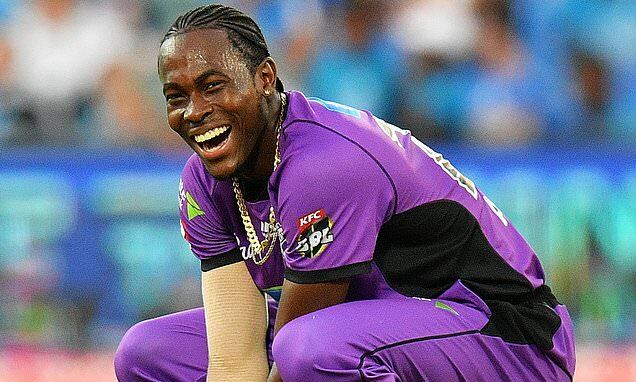 Daily Mail UK – Jofra Archer has been called up by England for the first time but the selectors have given themselves more time to decide who will miss out to allow his inclusion when the crunch comes for the World Cup. Jofra Archer has been called up by England for the first time but the selectors have given themselves more time to decide who will miss out to allow his inclusion when the crunch comes for the World Cup. But he is not in the provisional squad of 15 for the World Cup that England had to name for marketing purposes before they finalise their plans a week before the tournament begins at the end of May. The Archer question has become a hot potato for England, who are desperate to fast-track his x-factor talent into their World Cup plans because he brings the ingredients of rapid death bowling, big hitting and exceptional fielding. England’s existing fast bowlers have been almost queuing up this week to play down Archer’s credentials as the realisation grips that one of them will be cast aside after doing so much to make England World Cup favourites. Chris Jordan, the man who recommended English cricket to Archer in the first place, is also in the 17-man extended squad on the back of his excellent Twenty20 performances against West Indies that concluded England’s Caribbean tour but for now remains a World Cup outsider.